If you live in Scotland, have you registered to attend the Scottish Fertility Options Day on 6 May in Glasgow? It promises to be a really interesting day – with lots of useful information whatever stage of your fertility journey you are at. There are talks on health and wellness, including the odds of IVF working for you, the psychological impact of infertility and innovations in embryo research. Speakers include Dr Sarah Martins da Silva, fertility counsellor Alison Elliot, Consultant Clinical Embryologist Dr Rachel Gregoire and a representative of The Natural Fertility Centre. 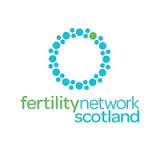 The day is organised by Fertility Network Scotland and it is free to attend – you can book online and it is well worth going along if you can. This entry was posted in Advice and support and tagged Alison Elliot, Dr Rachel Gregoire, Dr Sarah Martins da Silva, fertility information, Fertility Network Scotland, Scottish Fertility Options Day, The Natural Fertility Centre by fertilitymatters. Bookmark the permalink.